Officers of the Baptist State Convention of North Carolina and Board of Directors serve on a voluntary basis to guide the ministry and missions efforts of the state convention. Convention officers are elected by the messengers at the annual meeting for a one-year term, although they may serve two consecutive terms. The president presides over the deliberations of the convention when in session. Convention officers serve on various committees and subcommittees, some of which are as ex-officio voting members and others as ex-officio non-voting members. The board officers are elected by a majority vote of the board of directors.The president presides over the meetings of the board. The board officers serve as ex-officio voting members of all committees and subcommittees of the board, as well as the chair and vice chair of the executive committee. Steve Scoggins was elected president of the Baptist State Convention of North Carolina in November 2018. Scoggins currently serves as senior pastor of First Baptist Church of Hendersonville, N.C., and he has also pastored churches in Oklahoma, Georgia and Alabama. Scoggins holds a bachelor’s degree from Samford University and a master of divinity from Southwestern Baptist Theological Seminary. He also teaches courses in New Testament at Fruitland Baptist Bible College. Scoggins and his wife, Karen, have five children and 11 grandchildren. 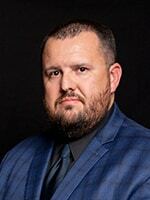 Micheal Pardue was elected first vice president of the Baptist State Convention of North Carolina in November 2018. He has served as pastor of First Baptist Church Icard in Connelly Springs, N.C., since 2013. Pardue previously served on the state convention’s Board of Directors and as president of the N.C. Baptist Pastors’ Conference. 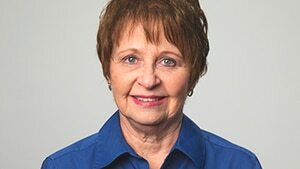 A native of Taylorsville, N.C., Pardue holds degrees from Gardner-Webb University, North Greenville University and Southeastern Baptist Theological Seminary. Pardue and his wife, Rachel, have seven children. Matthew Ledbetter was elected second vice president of the Baptist State Convention of North Carolina in November 2018. He has served as pastor of Lighthouse Baptist Church in Sylva, N.C., since 2014. Ledbetter has more than 20 years of experience in local church ministry, and he has led several short-term missions teams to Mexico and Honduras. Ledbetter previously served on the state convention’s Board of Directors. Ledbetter is a graduate of Fruitland Baptist Bible College and Liberty University. He and his wife, Lana, have one daughter. Clay Smith was elected to serve as president of the Baptist State Convention of North Carolina’s Board of Directors in September 2018. Clay has served as senior pastor of First Baptist Church Matthews since August 2014. He holds a master of divinity degree from Southwestern Baptist Theological Seminary in Fort Worth, Texas. Melanie Wallace was elected to serve as vice president of the Baptist State Convention of North Carolina’s Board of Directors in September 2018. Melanie has served on the board’s Church Planting and Missions Partnerships Committee and as an at-large member of the Executive Committee. Melanie is an active member of Hephzibah Baptist Church in Wendell, N.C.